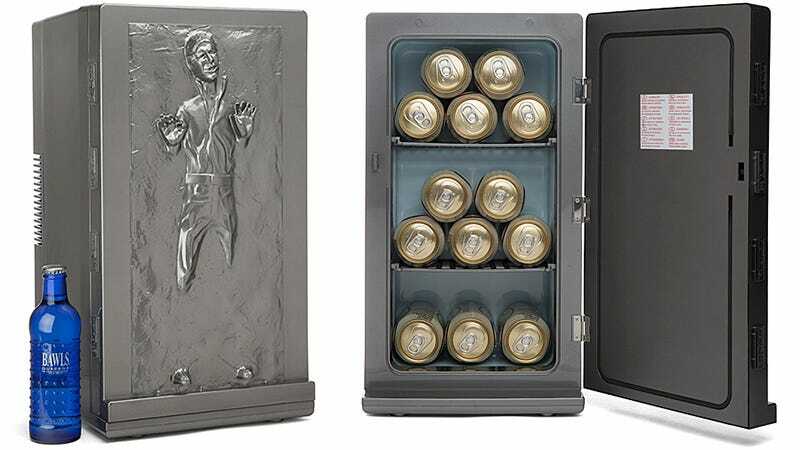 Han Solo Frozen in Carbonite Mini Fridge: "I'm Thirsty." "I Know." We don’t exactly know how the science behind freezing cargo, or a person, in carbonite works. But given there’s the word ‘freezing’ in there, we have to assume it gets pretty cold inside that solid block. So what better place could there be for keeping drinks cold at your desk than a carbonite mini fridge?